Color and Hang for a Beautiful Glow! 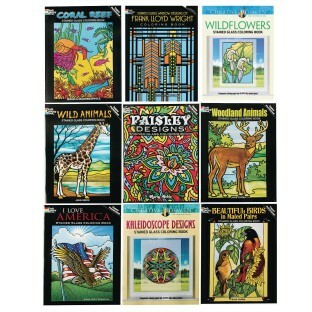 9 different titles, each with 16 stained glass images. Luminous effect when colored and hung near bright light. Color with crayons, markers or paint. Handsome "stained glass" pictures produce a beautiful glow when colored and hung near bright light. 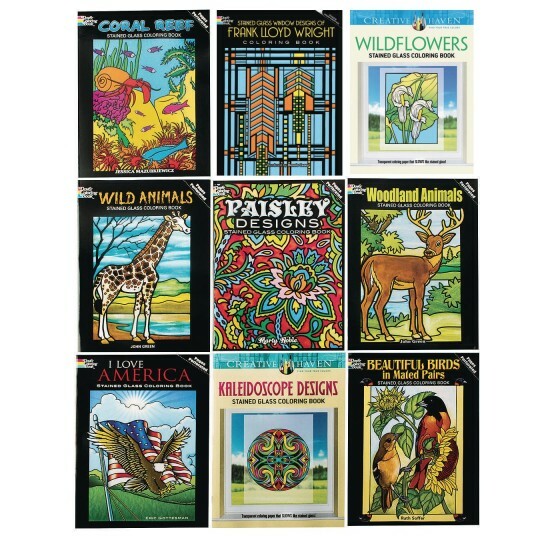 Includes Haunted Pirates, I Love America, Kaleidoscope Designs, Legendary Dragons, Wild Animals, Nature's Backyard Scenes, Sealife, Butterflies & Blossom and Coral Reed. Can be colored with crayons, markers or acrylic, watercolor, or tempera paints.